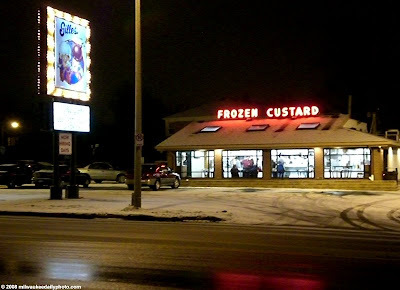 Gilles Frozen Custard is Milwaukee's Oldest Fast Food restaurant. Celebrating the start of their 71st year, the restaurant serves a variety of soups, sandwiches, burgers, and their delicious frozen custard. I've had Gilles Custard for most of my life, and can't wait for summer, when it just seems to taste better.